Permanently working display stand is a training simulator with equipment for Data Processing Center control. We are glad to present you a training simulator installed in COLAN company office in Moscow. This stand includes devices for server hardware and software remote control and also controlled equipment (computers, KVM switches, network commutators, lighting devices). The stand keeps up to 10 independent synchronous sessions. Get a message with a login and a password. Due to instructions begin your training. * — fields necessary to be filled. The stand consists of several device units different by functionality. Some unit devices are connected into multilevel cascades to demonstrate potential for ranging of presented devices. 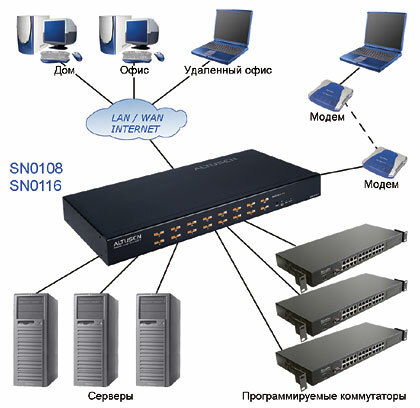 Access to the stand is realized by an ordinary WEB-browser in address line of which you put IP-address of the CC1000 integrated control system.  User authorization in the integrated control system is realized by entry a login and a password received after registration on our site. The CC1000 Control Center Over the NET™ provides centralized access,administration, and management of your data centers - local and worldwide at anytime, from anywhere. This software based solution consolidates the management of your ALTUSEN " Over the NET™ " devices, providing a convenient, flexible way to meet your IT infrastructure needs. 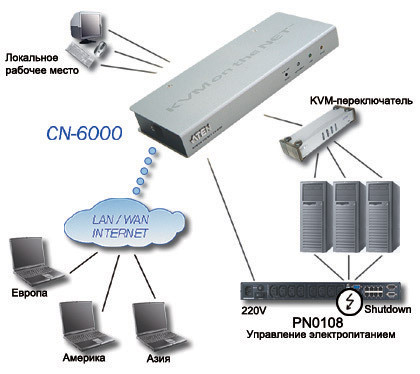 The CN-6000 IP-based KVM extender. 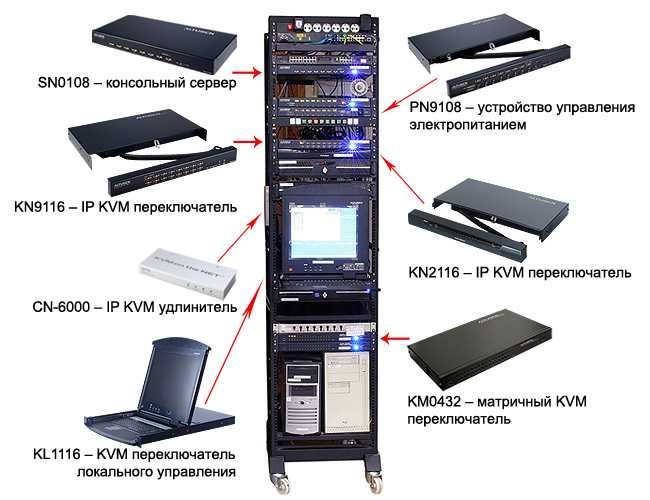 CN6000 is the most efficient KVM OVER IP solution which supports standard Cat 5 cable. 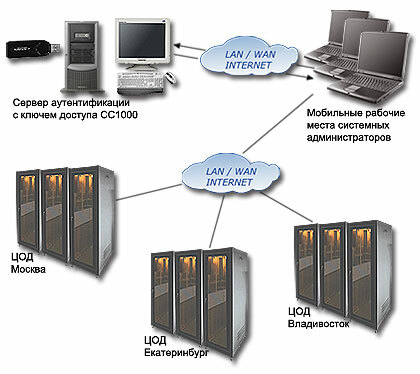 It can not only connect to the Internet or LAN, but also allows operators to monitor and link to the server from remote. 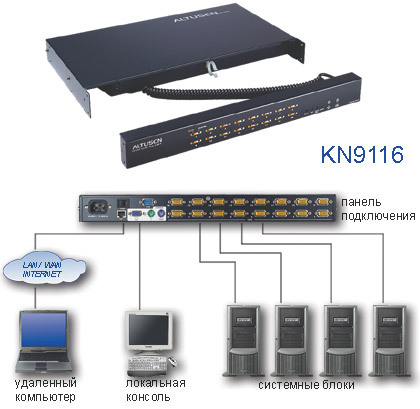 The KN9116 IP-based KVM switch. The KN9116 allow two administrators - one logged in at a local console; the other logged in remotely from any IP connected web browser –and up to 32 users to securely monitor, manage, troubleshoot or run applications from up to 16 connected devices respectively. 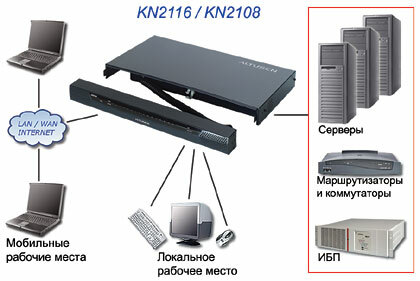 The KN2116 IP-based KVM switch. The KN2116 KVM Over the NET Switch series offers a practical and affordable management solution for data centers housing a large number of servers. These switches are ideal for network administrators who are responsible for mission critical operations and require 24H/7D server room access. The KN2116 allow 3 administrators- one logged in at a local console; the other two logged in remotely from any IP connected web browser-and up to 32 users to securely monitor, manage, troubleshoot or run applications from up to 16 connected devices respectively. The SN0108 Serial Over the NET™ is a control unit that provides remote serial access to up to eight servers or other serial IT devices (hubs, routers, power management devices, etc. ).Via TCP/IP connection,up to eight users can logged in simultaneously from any computer connected to the Internet, whether it is down the hall or half way across the world. Each user is able to control a separate port thus all eight attached devices can be accessed concurrently. The PN9108 Power Control Device. 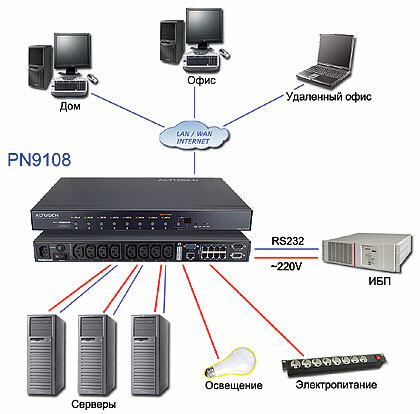 The PN9108 Power over the NET™ is a control unit that provides remote power management for eight AC outlets via a TCP/IP connection, allowing administrators to control the power off, power on, and reboot status for each attached device from any computer connected to the Internet, whether down the hall, or half way around the world.The PN9108 is the most convenient, reliable and cost effective way to obtain access to your server room remotely.